Talk about uncommon! 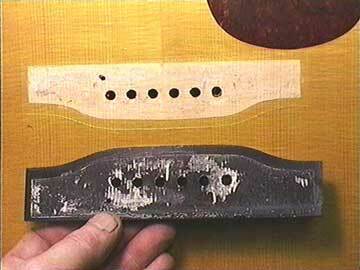 I hardly ever hear a buzz that comes from a loose bridge on a flat top guitar. I see loose bridges every week, but basically never hear a peep out of them. 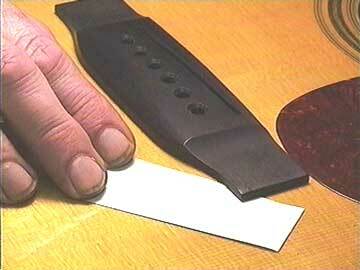 A bridge doesn't have to be very loose to need regluing. This is such an important structural matter that I don't wait around to hear buzzing from a loose bridge before I reglue it. Not regluing a loose bridge is asking for top and bridge plate deformation, loose braces, and possible cracking of the top. Enough said. Bridges should be reglued. 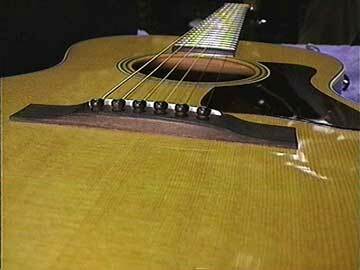 In certain rare circumstances, a very slightly loose bridge can go unnoticed visually, but make a tiny buzzing sound when the instrument is played. This little gap is too narrow to slip in even a very thin piece of paper. 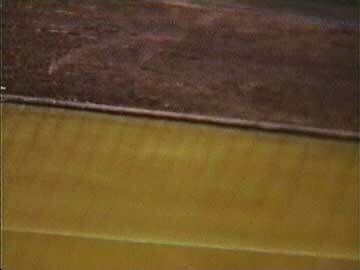 But underneath the bridge, there may be torn fibers of the top that can vibrate at certain frequencies. I suppose it could, under certain circumstances, buzz even if it were't actually loose in the area where it was glued to the top. On one occasion, I spent weeks diagnosing, probing and sweating over a classical guitar with a mysterious, ethereal buzz. After finally exhausting every logical possibility, I decided that the bridge was the only thing left. Taking a lesson from Sherlock Holmes, I concluded that the one possibility that remained, no matter how small the probability, must be the answer. I removed and reglued the bridge. The buzz was gone. At that point I added "loose bridge" to my mental list of items that cause buzzing.